But you all knew that. Found this cute little house shelf. Happens to fit my spools of baker’s twine perfectly. 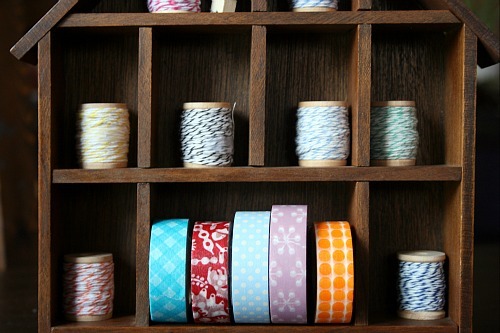 I threw some washi tapes in that middle bit since it’s a bit too big for spools. It’s sort of a little packaging station now. 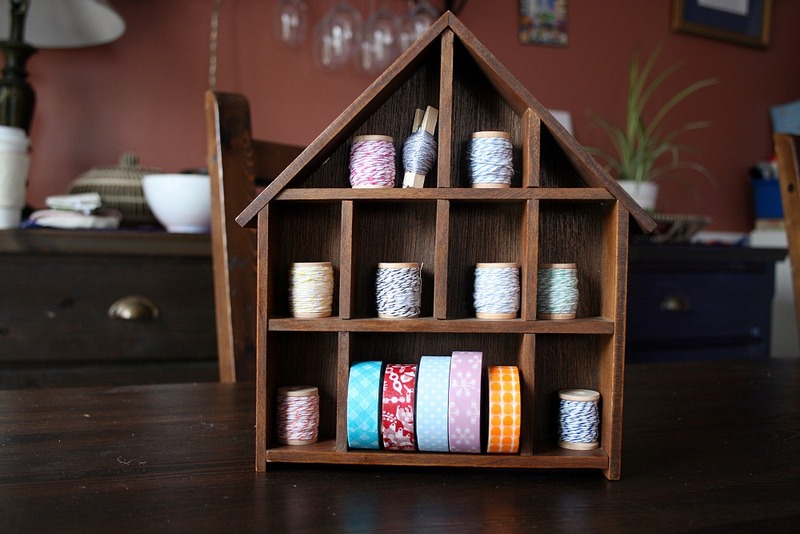 This entry was posted in fun finds, repurposing, vintage and tagged baker's twine, thrifting. Bookmark the permalink. I’m a new follower… and I love your blog! Perfect reuse for your thrifted find, love this. Your blog is so cute. I’ll definitely be back to read more.